Just because a toy is sold in a store doesn't mean it's safe, or appropriate, for every child. In fact, there are a few toys that consistently cause the most injuries to kids. Before you hand out gifts this holiday season, you should learn which toys pose the greatest risk to children – you might be surprised to learn what they are. Scooters, wagons, tricycles, and other ride-on toys are the number one cause of kids' emergency room visits. Of those, foot-powered scooters are the most dangerous. From 1990 – 2011, ride-on toys accounted for 35% of injuries and 43% of hospital admissions in children under the age of 18. 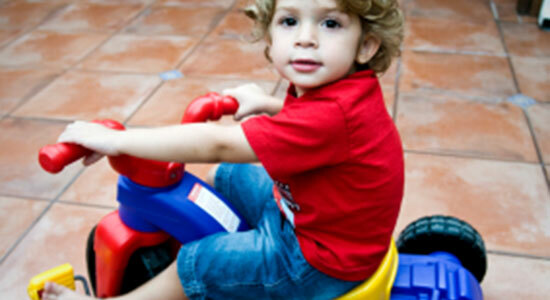 What to consider: Do you have the proper safety gear to go along with the toy? Experts say that the most important thing parents can do to prevent injuries from riding toys is to make sure their child wears a proper-fitting helmet at all times. Many people head to the dollar bin when it's time to pick up stocking stuffers – you can get a lot of bang for your buck. But you may get a few other things you're not counting on, like toxic levels of lead, chromium, and phthalates. All of these have serious, long-term effects on children's development. Examples: A badge playset found at Dollar Tree contains lead above the legal coatings limit. A Jake and the Neverland Pirates tambourine also sold at Dollar Tree contains chromium that exceeds federal standards. A Hello Kitty bracelet and hair accessory kit sold at craft stores has levels of phthalates that are above legal limits. Rubber ducks sold at Walmart also contain dangerous levels of phthalates. What to consider: If a deal seems too good to be true, it likely is. A surprisingly low price tag may reflect the quality and safety of the materials used in the product. There are several building sets on the market that use powerful magnets. These magnets, strong enough to hold up elaborate buildings and designs, are also strong enough to pose some serious health risks. Injuries they cause: Unlike most small objects, the magnets often don't pass through the digestive system. They can connect with each other through tissue walls, sometimes cutting off blood supply to vital organs, resulting in serious injury or death. 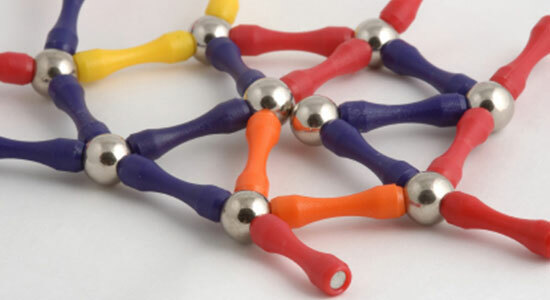 Things to consider: These types of magnets pose the biggest risk to toddlers and infants who are more likely to put things in their mouths. If you have younger children at home, you may not want to purchase magnetic building sets for older siblings or relatives. These are a classic – a puppy on a leash, a telephone with a cord, or animals sitting in a train. Many babies receive pull toys as gifts and love taking them for a walk. Despite being sold by popular retailers, some of them don't meet the regulations that prevent them from being a strangulation hazard. What to consider: Industry safety standards say that strings on pull toys can't be longer than 12 inches, so pull out your ruler and make sure your toy comes in at or under that mark. Most kids have favorite movies and TV shows – what better gift than a pocket-sized version of their favorite character? 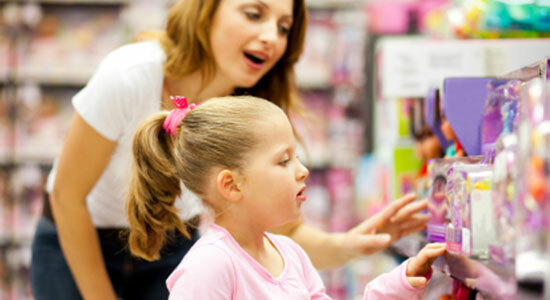 Before you put a figurine set (or any toy containing small parts) in your cart, read the safety labels carefully. Many specify an age limit because small toys are a choking hazard for young kids. 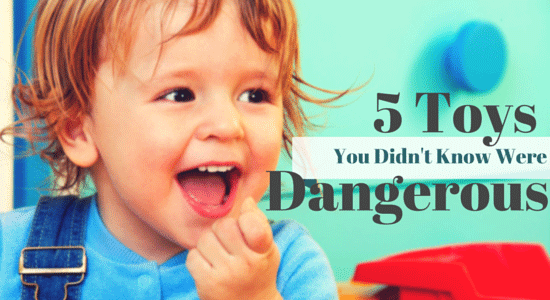 Take this warning seriously, as choking is the leading cause of toy-related deaths. If the toy seems to have small parts but doesn't have a warning label, it's best not to buy them for children younger than three. What to consider: The U.S. Consumer Product Safety Commission (CPSC) defines "small parts" as anything that fits into an official "choke test cylinder." The interior diameter of the cylinder is 1.25 inches, the approximate size of the fully expanded throat of a child under the age of three. You can use a paper towel tube as a makeshift tester – anything that fits inside the tube is a potential choking hazard. Manufacturers have a responsibility to keep consumers safe, but that doesn't always happen. Furthermore, the CPSC doesn't test all toys that make it onto shelves. That's why it's a good idea to do your own research – look out for the latest recalls, safety alerts, and injury reports before buying toys or giving them as presents. "Choking hazards top list of toy dangers, consumer group says." Tampa Bay Times. December 1, 2014. "The most dangerous types of toys for kids." CBSNews. December 1, 2014. "Survey finds dangerous toys on store shelves." Foxct.com. December 2, 2014.